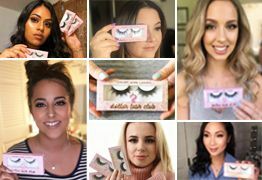 5 Reasons Why Ladies Choose The Dollar Lash Club Every Time! 1. We LOVE Our Customers and Our Customers LOVE Our Lashes! We are a fast-growing company because we always put our customers first. We have thousands of satisfied customers all over the world who use our lashes daily. The real proof, of course, is that these women RE-ORDER through their monthly subscription. Shop with us today and see The Dollar Lash Club difference. It’s true! Our lashes will command attention and allow your natural confidence and beauty to shine through! Our 100% handcrafted Luxury mink lashes start at $1.00 and are delivered to you monthly. With Dollar Lash Club, you don't have to break the bank each month. We will have your order ready and shipped out within 24 hours, or even on the same day! Orders over $35 get FREE, fast shipping, every time. A woman and her lashes are an endless love affair. You never get in between them. We believe in the high quality of our lashes and are confident you will love them too! However, if you are unhappy with your subscription, just send us an email and we will give you a refund, no questions asked! That’s right, 15 styles! With our monthly subscription-based program, you have full control of what lash styles you receive each month. Whether you wear our lashes for your 9-5 or a glamorous night out, we've got you covered sister! Getting compliments like “Wow you’re so GORGEOUS!” never gets old and it starts right here. Get an Eyelash Curler for FREE When You Order! Get an Eyelash Curler for FREE! Join the Tribe of Unicorns Today! Click Here & Get an Eyelash Curler for FREE! Let’s be honest ladies, many of us believe that fake eyelashes look just that – phony, artificial and unattractive. Also, let’s not even get into how uncomfortable some false lashes can be! Those days are over. 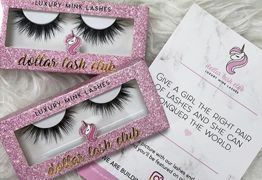 Each lash set provided by Dollar Lash Club will make you think differently about false lashes. They are light and comfy, you might even forget that you’re wearing them. Each and every lash style was designed with a unicorn in mind… YOU! Yes, Show Me The Luxury Lashes! 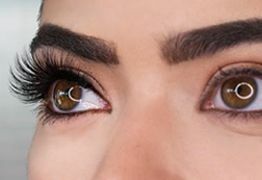 Click Here For Luxury Lashes! 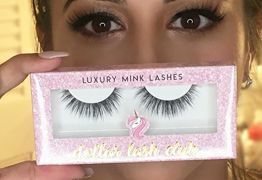 See Our Full Collection of Luxury Mink Lashes..
Click the Link Below & Subscribe Today!